Sept. 30, 2014 - Some species of lemurs are threatened with extinction, and researchers at Duke University's Lemur Center are working to prevent that from happening. Although some people question whether new vaccines for wild animals are worth the effort, researchers are moving forward to stop a seasonal outbreak of Cryptosporidium parvum that's affecting one species of lemur. 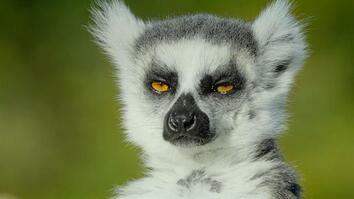 Lemurs are the most critically endangered species of vertebrates on the planet. It is likely that many species will go extinct within the next 100 years. And so there is a very urgent need to develop advanced diagnostics, advanced vaccines, to be able to aid ongoing conservation efforts in Madagascar. Our research provides the groundwork for developing those advanced approaches. 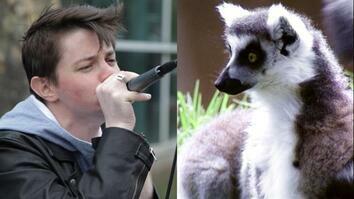 What we're trying to understand more about is how the lemur immune system responds to pathogens. 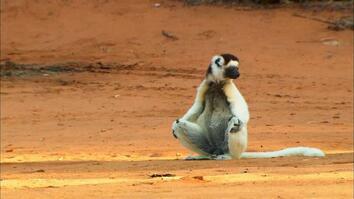 The Sifaka lemurs, every year, there's a seasonal outbreak of Cryptosporidium Parvo. Crypto is a pathogen of concern not only at the Lemur Center, but also for human populations worldwide. Cryptosporidium is a pathogenic protozoan that causes extreme dysentery. The individuals that acquire crypto infections die likely because of dehydration. If you identify the infection soon enough, there's steps that we can take to prevent death, but ideally we would have maybe a vaccine or advanced diagnostic procedure that could be used almost immediately upon signs of illness. If an individual does experience symptoms, we will go and acquire a blood sample, and I will select the white blood cells from that sample. We then perform RNA extraction. That RNA from the white blood cells is what we can use to generate sequence data of the antibodies. So it provides a snapshot of the immune system at the moment that the blood sample was taken. And that snapshot will tell us which antibodies are being up­regulated, and that's the information that's critical. What's the immune system of that individual doing, how is it potentially interacting with that pathogen. That database that we can develop of expressed antibodies can be mined in the future to be able to help create advanced diagnostics and vaccines. If we do nothing, then they're lost, forever, and so, that's why developing vaccines for wild populations of primates, because if we don't do, they're going to be lost forever.